AddressThe address for this sale in Montgomery, AL 36110 will no longer be shown since it has already ended. First of all without YOU, our customers we could not provide an amazing auction experience and have it be a success. With that said, over the years we have developed a few rules that must be followed to make this experience awesome for everyone involved. We appreciate your patronage and your cooperation.
. There will be a sales tax applied to this sale. We don't make the rules, we just follow them. ******We DO NOT LOAD, bring your helpers if you need them. Due to liability issues. ******ALL SALES ARE FINAL, NO REFUNDS OR EXCHANGES. ******ALL ITEMS ARE SOLD AS-IS, WHERE-IS WITH NO GUARANTEES. 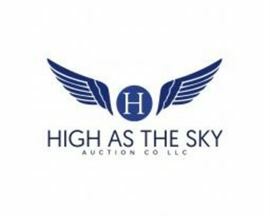 Another great Live Auction from High as the sky auction company. Family friendly, smoke free environment. Come See Us!